Christina from Heidenheim, Russ from SPOKANE & 23 others bought this item recently. This second movie from filmmakers Art Thomas and James Loruss — presented in two parts on 2 DVDs — will take you on a journey of discovering and encountering God’s thoughts for you and your life. You’ll also learn solid advice for operating in healthy prophetic ministry as the Spirit leads. Topics include discussion about hearing God, inner transformation, being led by the Spirit, prophetic ministry, ways God speaks, how to discern God’s voice, interacting with the Holy Spirit in evangelism, and more. Like our first film, PAID IN FULL, this two-part movie is being designed to be an experience, not just a film. We don’t simply want to show you what’s happening around the world; we also want to train and equip you to do the same things in Jesus’ name. 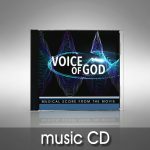 Disc 1: God’s Voice TO You – Learn to hear and discern God’s voice in the many different ways He speaks, and be invited and challenged to experience a closer, more intimate relationship with Jesus. 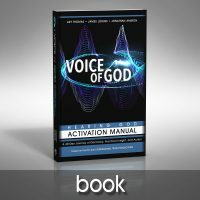 Disc 2: God’s Voice THROUGH You – Learn the simplicity of prophetic ministry and how to effectively minister to others as the Holy Spirit leads. Be inspired and equipped to hear God’s voice — first for personal transformation and then for world transformation. The God who spoke the universe into existence still speaks. 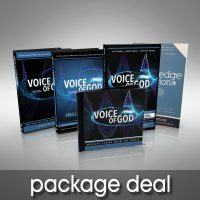 Order your DVD set today, and be awakened to the VOICE OF GOD. 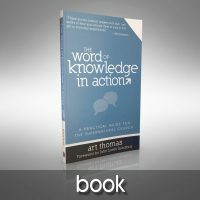 Discover the first concisive book published about the spiritual gift known as a Word of Knowledge. Here Art shares testimonies, Biblical examples, and solid teaching about this spiritual gift and how it can be integrated into the life of the Church. Endorsed by Bill Johnson, R. Loren Sandford, Robert Ricciardelli, Quinn Schipper, Tyler Johnson, John Loren Sandford, and others.